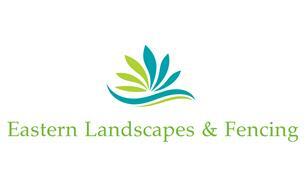 Eastern Landscapes & Fencing - Fencing/Gates, Landscaper based in Ashbocking, Suffolk. Hello. Thank you for showing an interest in our company. Eastern Landscapes & Fencing is a trading division of Eastern Play Services Ltd and we provide a range of works to meet our customer's needs. Whether you need a fence panel to be repaired, a patio to be laid, a new driveway or even if you want your whole garden re-designed then you'll be in good hands. Our customer base includes schools, councils, parish councils, housing developers as well as our valued domestic customer base. We hold accreditations with Marshalls, CHAS, Constructionline and SMAS so you can be assured that we work to high standards and meet health & safety requirements. Our friendly, experienced and approachable staff will be very happy to meet with you and offer you a no obligation quote, at a time that is convenient for you. Please browse through our project photos and do not hesitate to contact us to discuss your requirements.